THE SECURITY Event is a major new exhibition created for the commercial and residential security market. 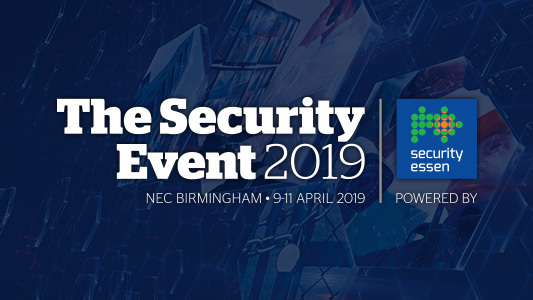 Taking place from 9 – 11 April 2019 at The NEC Birmingham, the event brings together a world-class education programme, market leading manufacturers and suppliers as well as industry experts, to make it the most hotly anticipated exhibition for UK security professionals in 2019. The Security Event has been developed with support from a key group of the industry’s major players, to deliver a world-class exhibition dedicated to UK security professionals, installers and integrators. The Security Event is proud to have support of its founding partners - Anixter, ASSA ABLOY, Avigilon, Comelit, Honeywell, TDSi, Texecom, Tyco and Videcon. This level of involvement ensures the exhibition covers the latest trends and innovations whilst addressing the evolving challenges facing the industry today. Visitors to The Security Event will have the opportunity to meet with many of the world’s leading security providers to gain first-class advice and assistance for any project or requirement. Big-name providers already confirmed include: 2N, Advancis, ASSA ABLOY, Avigilon, Anixter, Bold Communications, Brivo, BT Redcare, CDVI, Comelit, ComNet, Controlsoft, Cop Security, CQR Security, Credit Card Keys, Dahua, Deister, Eagle Eye Networks, eLocker, ESP, Fastlane Turnstiles, Fujifilm, GJD, Gallagher, Genie Access, Honeywell, ICS Security, Innovise, Luminite, IDIS, Insafe, Myaflex, MaxxOne, Morse Watchmans, RISCO, Selectamark, SKS, Suprema, TDSi, Texecom, Traders Warehouse, Tyco, Winsted, Videcon, Visual Management Systems, Zitko and more. The highly focused programme investigates the evolving challenges and opportunities involved in the delivery of security projects throughout the supply chain. The Security Event will tap into the expertise of leading security professionals and explore the latest innovations from suppliers. Visitors will have the opportunity to participate in a broad but relevant programme of presentations and seminars which will offer insights and ideas on the latest solutions available for any type and size of project. The Security Event will welcome high-profile speakers such as Professor of Criminology, Martin Gill and Philip Ingram MBE former Senior Intelligence and Security Officer. Martin Gill will be chairing a Keynote Panel offering insights direct from research on the trends impacting security installers and integrators, conducted on behalf of The Security Event. The session aims to explore the ongoing challenges within the security sector, how these are perceived, their impacts and in what ways might this determine who thrives and who does not. The Security Event recognises it can be costly for security professionals to take a day out of their schedule to attend an exhibition. That’s why The Security Event is now delighted to confirm FREE PARKING for visitors at the NEC, saving up to £16. Once more, there’s no need to rush off – as part of FREE registration, visitors can enjoy a drink or two on us straight after closing time at the on-site bar. The NEC Birmingham provides The Security Event with the most accessible exhibition venue in the UK. Its location is perfect for visitors and exhibitors arriving from across the country and further afield. With an international airport, mainline train station, easy access to the UK’s motorway network and over 16,500 car parking spaces, the NEC is the number one option for both exhibitors and visitors alike arriving from all directions. 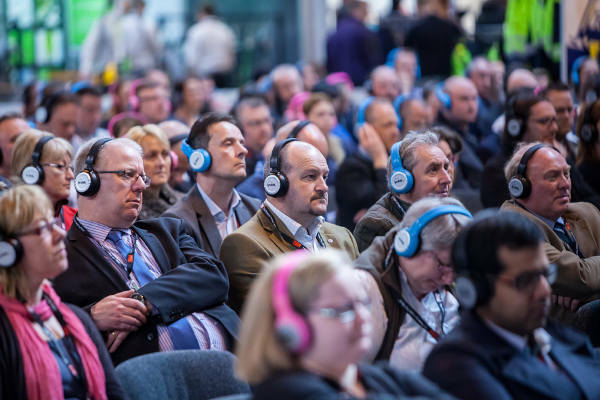 The Security Event is co-located at the NEC Birmingham alongside three other highly successful and established exhibitions from the WBE portfolio: The Fire Safety Event, The Health & Safety Event and The Facilities Event. This enables security professionals to get the most of their visit, by investigating integrated security solutions and networking with these closely related industries, to gain a wider picture of the services and technologies on offer as part of their free registration for The Security Event. The acquisition of WBE by Nineteen Group at the end of November 2018 creates an unrivalled exhibition portfolio for the UK security market, with two complementary security events focused on two unique audiences. With International Security Expo in London Olympia focused on serving Government and End Users, The Security Event is ideally placed to deliver the UK’s number one channel focused event for the UK commercial and residential security market. Following this announcement, Andy Croston, Owner/Director at Videcon Ltd voices his support for The Security Event, “As one of the first Founding Partners to come on board we saw the huge potential of this exhibition from the very beginning. Now with the support and resources of Nineteen behind them, we’re certain The Security Event will delivery exactly what the commercial security market has been waiting for”.